Hundreds demonstrated outside United Nations against Sri Lankan President speaking at the UN General Assembly. Shouting where are our Babies who Surrendered? These Babies Surrendered along with their families at the end of the war in May 2009, when Sri Lankan President was acting as Defense Minister. These babies must be ten years old by now. Transnational Government of Tamil Eelam (TGTE) which organized this protest sent an alert to UN General Assembly Members and to journalists about Sri Lankan President Maithripala Sirisena as a war crime suspect. TGTE outlined Sri Lankan President’s command responsibility, when he was acting as Defense Minister five times during the height of the war, including during the final two weeks of the war that ended in May 2009, when around 70 thousand Tamils were killed in six weeks and hundreds of Tamil women were sexually assaulted and raped by the Sri Lankan Security Forces. (UN Figures). The Sri Lankan Government also restricted food and medicine for Tamils, which resulted in a large number of Tamil men, women and children dying from starvation and many of the injured bleeding to death. 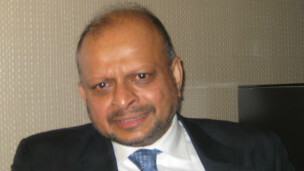 It was also during President Sirisena acting as defense minister that Sri Lanka rejected appeals by several world leaders to stop shelling and bombing an area designated by the Sri Lankan Government as a “No Fire Zone.” The Sri Lankan Government created this “Safe Zone,” and urged Tamils to assemble there for safety. When thousands of Tamil civilians arrived, Sri Lankan Security Forces bombed and shelled the area and killed tens of thousands of people. In 2015, the UN High Commissioner for Human Rights released a report about these killings and recommended a hybrid judicial mechanism for accountability. After the report was published, having saved himself from being mentioned as a war crime suspect, President Sirisena boasted, “We managed to stop UN publishing names of perpetrators.” President Sirisena must be held to account. TGTE Urges UN General Assembly to Create an Int’l Independent ……….